The arrests took place in the District of Dumka. The detainees are part of a group of 25 "preachers" that the villagers held hostage for two days. The police say they seized religious material. For Christian leader, “powerful groups that support Hindutva use the so-called forced conversions to intimidate minorities". Mumbai (AsiaNews) – Police in Jharkhand arrested 16 missionaries on Sunday on charges of converting tribal Adivasi by force to Christianity, the Press Trust of India reported. Speaking to AsiaNews, Sajan K George, president of the Global Council of Indian Christians (GCIC), said that "In Jharkhand, extreme right-wing groups systematically persecute members of religious minorities, especially Christians." Seven women were among those taken into custody. Police Superintendent Kishore Kaushal said that those arrested were part of a group of 25 "preachers" held hostage "by an angry mob of tribals living in the village". The police did not disclose the names of the Christian missionaries involved in the case of alleged forced conversions. "We are verifying the allegations," Kaushal said. Manoj Kumar Thakur, head of the Shikaripara police station, told the Indian newspaper that his officers are trying to identify "the network behind the conversion attempts" that violate the Jharkhand Freedom of Religion Act. The Indian state has had an anti-conversion law since September 2017, banning conversions extracted with the use of force or material enticements. According to Sajan K George, in Jharkhand "powerful groups that support Hindutva use so-called forced conversions to intimidate minorities.” Hindutva ideology views Hinduism as an ethnic, cultural and political identity, in the name of which fundamentalist groups perpetrate acts of violence and discrimination against India’s ethnic and religious minorities. 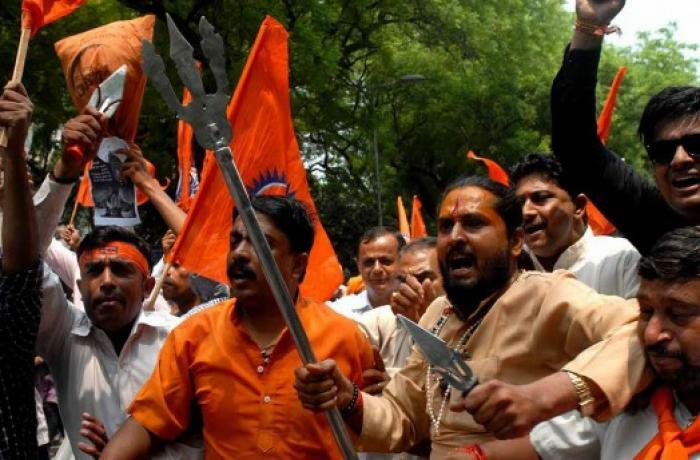 "While Christian congregations are being attacked because of the bugbear of conversions, the Rashtriya Swayamsevak Sangh (RSS) is openly proud of converting Christians to Hinduism,” George explained. The RSS is a Hindu ultranationalist paramilitary group. In Jharkhand, "the RSS wants to make some areas ‘Christian-free’,” he added. Madhya Pradesh, police interrupt a Christian marriage: "The spouses are Hindus"